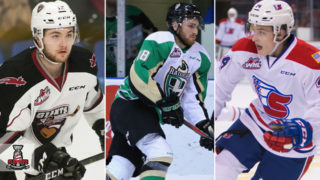 A week closer to the opening of the 2018-19 Western Hockey League Regular Season meant the playing of more WHL Pre-season games as teams continued to shape their roster ahead of Friday, September 21. The Saskatoon Blades continued to add to their perfect record in pre-season play with a 4-3 shootout win over the Prince Albert Raiders in Warman, Sask. Michael Farren leads the Blades with seven points (3G-4A) in pre-season play. Also maintaining a perfect record were the Calgary Hitmen, who picked up a pair of wins against the Edmonton Oil Kings this weekend, one in Edmonton and the other in Carstairs, Alta. Mark Kastelic’s seven points (3G-4A) have him leading the Hitmen through their first four games. While they did suffer their first loss already, the Victoria Royals have equaled the Hitmen’s mark of four wins, doing so in one more game. 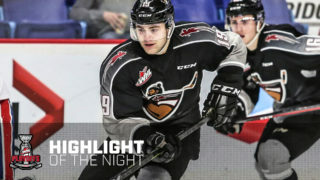 Playing their three final pre-season games this weekend, the Royals downed the Vancouver Giants 5-3, continued their offensive run in a 7-1 win over the Everett Silvertips, but fell 3-2 to the Prince George Cougars in their finale. D-Jay Jerome’s 10 points (5G-5A) led the club throughout their five pre-season games. Through five pre-season games, the Spokane Chiefs have maintained a 3-1-1-0 record, outscoring their opponents 21-12. Their lone game of the weekend featured a 7-3 drubbing of the Tri-City Americans. Seven-point efforts from both Adam Beckman (6G-1A) and Carter Chorney (4G-3A) have led the Chiefs in pre-season play. Also sitting at 3-1-0-0 in pre-season play are the Kamloops Blazers, Prince George Cougars, and Regina Pats. 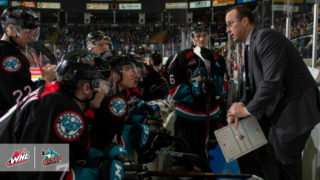 The Blazers swept a home-and-home with the Kelowna Rockets, winning 4-3 in overtime Friday at home before earning a 5-3 result in Kelowna Saturday. The Cougars’ weekend also featured a pair of victories against B.C. 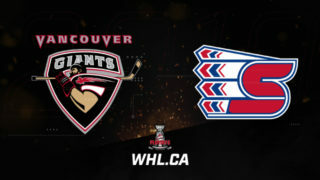 Division opponents, with a 7-3 win against the Vancouver Giants and the aforementioned 3-2 win over the Royals. The Pats had to go to extra time in both of their weekend contests, winning 3-2 in overtime Friday and 4-3 in a shootout Saturday to sweep a home-and-home against the Brandon Wheat Kings. From the three teams, it’s rookie import defenceman Nikita Sedov leading them in scoring as the Pats forward has collected six points (2G-4A) in four games. Cougars winger Tyson Upper is close behind with five points (3G-2A) while both Brodi Stuart and Nolan Kneen are tied for the Blazers’ scoring lead with four points each. A pair of U.S. Division clubs in the Seattle Thunderbirds and Everett Silvertips also found themselves with a similar six points in the standings, but through one more game. After starting the pre-season 1-2-0-0, the T-Birds rallied with a pair of victories this weekend, 3-2 win over the Chiefs and a 3-1 decision over the Kootenay ICE. Import forward Andrej Kukuca still leads the club in scoring with eight points (4G-4A) through the five games. For the Silvertips, a 7-1 loss to the Victoria Royals meant a bad start to their two-game road trip in British Columbia, but a 4-0 win Sunday over the Vancouver Giants helped to earn the split. Dustin Wolf picked up his second shutout of the 2018 WHL Pre-season and has stopped 77 of 83 shots in 222 minutes of action, recording a 1.62 goals-against-average and 0.928 save percentage. A trio of teams in the Medicine Hat Tigers, Portland Winterhawks, and Giants found themselves with five points each in the standings. The Tigers split a home-and-home series with the Moose Jaw Warriors, earning a 3-0 win at home Saturday night. A trio of Tigers in Cole Sillinger, Dawson Heathcote, and Josh Williams have four points each to lead the team. Also taking a win and a loss were the Winterhawks, who won an intense 11-8 showdown with the Americans Friday before dropping a 4-3 overtime result Saturday to the ICE. Ty Kolle led the Winterhawks with seven points (3G-4A) in four games. A three-game weekend saw the Giants take three losses to round out their pre-season play. James Malm led the team in pre-season scoring with four points (2G-2A) in three games. 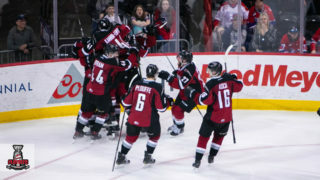 A five-team logjam at four points featured the Lethbridge Hurricanes, Red Deer Rebels, Warriors, ICE, and Americans. Logan Barlage and Keltie Jeri-Leon have led the Hurricanes in scoring in pre-season play with three points each. Daemon Hunt and Yegor Buyalski tied for the team scoring lead with the Warriors, having recorded four points each. Chris Douglas and Alex Morozoff have four points each to lead the Rebels in pre-season action. Connor McClennon has shown his offensive flair with the ICE, recording five points (3G-2A) to lead his squad. Isaac Johnson owns the scoring lead for the Americans with eight points (2G-6A) in five games. The Oil Kings were the lone team sitting at three points in the standings with a record of 1-2-1-0. Back-to-back losses against the Hitmen weren’t an easy way to spend the weekend, but their imports have impressed so far with Andrei Pavlenko and Vladimir Alistrov recording three points each to tie for the team scoring lead with Jalen Luypen and Vince Loschiavo joining them. The Wheat Kings and Rockets both went winless on the weekend. Five different Wheaties scored in the weekend series with the Pats while Nolan Foote’s four points (3G-1A) continued to hold up as the scoring lead for the Rockets. Also still searching for their first win of the pre-season were the Raiders and Swift Current Broncos. 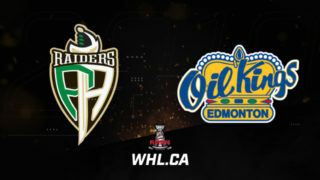 The Raiders lost their lone matchup of the weekend in the shootout to the Blades while the Broncos were inactive. Aliaksei Protas continues to lead the Raiders with four assists in three games.